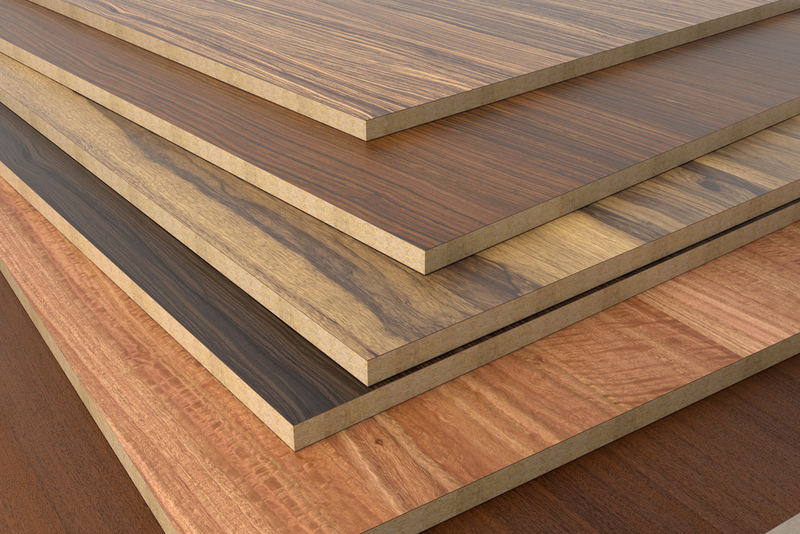 PBC is the least expensive core option for hardwood plywood, offering a smooth, void-free surface for veneer faces. PBC is very uniform in thickness and density. PBC is one of the heaviest core options for hardwood plywood construction, weighing as much as 100 lbs per 3/4″ panel. PBC has the least amount of structural (spanning) strength compared to the other core options and is subject to the greatest amount of expansion if exposed to moisture. PBC is a preferred core for fixture and low-end furniture applications including Ready-To-Assemble furniture. It is also used in selected kitchen cabinet components.